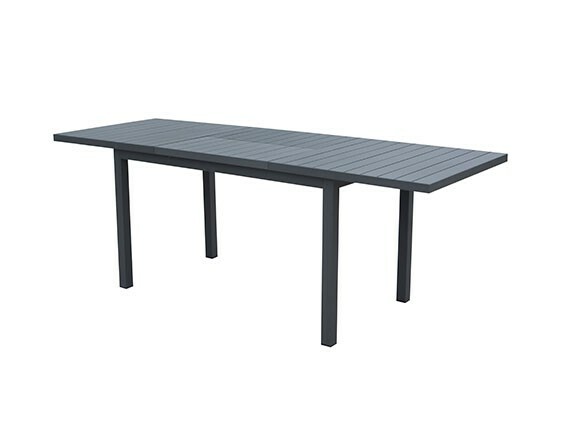 The rectilinear Aluminum table frame consisting of square profiles lends the table its classic design. The tabletop made of high-quality full Aluminum creates an incomparable visual elegance. The rectilinear Aluminum table frame consisting of square profiles lends the table its classic design. The tabletop made of high-quality full Aluminum creates an incomparable visual elegance.